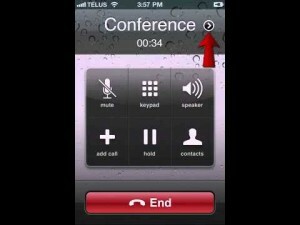 Placing a three-way call is one of the features of the iPhone that can ease your work and save you a great deal of time. The option of initiating multi-party phone calls gives you the chance to speak to two people with different numbers simultaneously and allows you to make arrangements or communicate your ideas and plans more quickly. Whether you need to make plans for a night out with your friends or just want to discuss with two guys at the workplace an important business project, knowing how to do three-way calling on iPhone will help you. Making a three-way call is very similar to making a regular phone call. Make sure you follow these instructions and you will be able to start your conference immediately. 1. Tap the “Phone” app on the Home screen of your iPhone. 2. Tap the first contact you want to dial. 3. Tap the number of this contact or, if the phone number is not in your “Contacts”, tap “Keypad” and dial the number you need. 4. Wait for the person to answer your call. 5. Tap “Add Call” (The person you are now on the line with will be put on hold). 6. Tap the second contact or enter their phone number. 7. Tap “Merge Calls”. 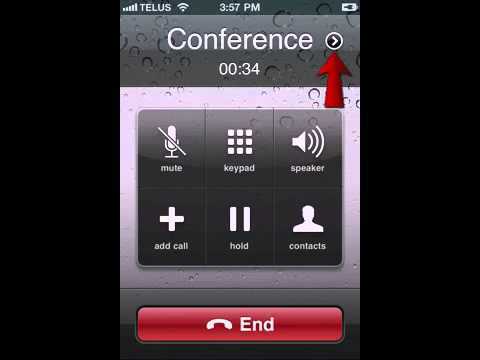 Now the two separate calls will merge into one and you will be able to hear and speak to both conference participants at the same time. If you want to add more people to your conference call, all you have to do is repeat steps 5, 6, and 7. If you found this tutorial on how to do a three-way calling on iPhone helpful, you may want to check our other guides on how to harness the full power of the iPhone and iPad.